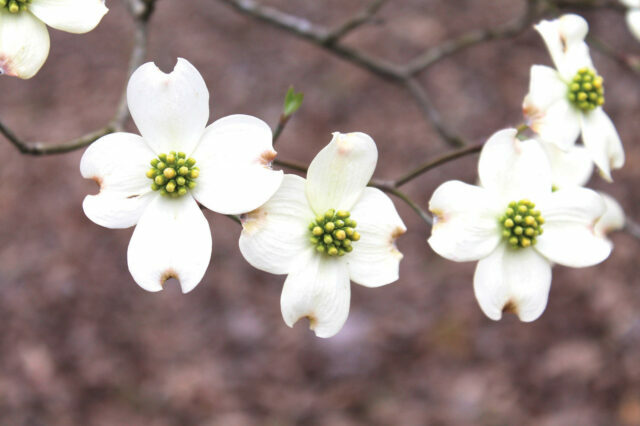 PALESTINE – Palestine is getting ready to kick off three weekends of activities during the 81st Annual Dogwood Trails Celebration – which will take place during the peak season for dogwoods and other flowers blooming in the area. The celebration is scheduled for the weekends of March 22-24, March 29-31 and April 5-7. The first weekend of the Dogwood Trails Celebration is always the biggest – and this year will be no different as the Dogwood Trails Arts & Music Festival takes on a new flair this year with added musical entertainment and arts. A lineup of musical artists will take the Oxbow Hollow Sawdust Stage during the Arts & Music Festival from noon to 7 p.m. on Saturday, March 23. For the first time, the festival will also feature buskers – street performers, who will be playing various instruments ranging from the saxophone, guitar, jazz ensembles, box drum, etc. On the Sawdust Stage, the lineup includes featured artist Curtis Grimes, former “The Voice” Season 1 contestant and the 2018 Country Christian Artist of the Year, who hails from East Texas. Others who will share the stage during the day will include country artists Canaan Cox, Cory Michael and Nick Hickman. A Meet the Artists VIP Reception & Sneak Peek party will be held from 7 to 9 p.m. Friday, March 22 featuring wine and cheese and the sounds of classical guitarist Alexander Gregory. Tickets are $10 in advance or at the door. For the arts portion of the festival, attendees can look for the Artist Tent where Texas artists will be showcasing their work. Various art exhibits will be set up throughout the downtown area, including an Art Wall Contest, Photography Show and a Youth Art Show (grades K-12 and open to everyone). Applications for artists and the youth artist contest are available on the Palestine Area Chamber of Commerce website at www.palestinechamber.org. “We have a lot of talent coming in. Beyond all of the dogwood blooms, this first weekend is a whole big celebration – a fun time to be here in Palestine with car shows, street entertainment, art exhibits, stained glass tours and more,” Merryman said. Two car shows are planned for the event including the Cars of Palestine’s annual car show and the Tejas Corvette car show. “The Cars of Palestine are diehard car collectors. Their show is a lot of fun for the whole family. The Tejas Corvette show includes members from all over the place. They will be here for a couple of days,” Merryman said. Other activities during the first weekend’s Dogwood Trails Arts & Music Festival include the annual parade with the theme “Dogwoods & Music,” arts and crafts vendors, activities for children such as inflatables, train rides, face painting and more, as well as the usual festival food fares ranging from barbecue and funnel cakes and everything in between for the taste buds. For the first time, local artist William Young, who is well-known in Texas, is creating a limited-edition Dogwood Trails 2019 poster. Only 100 posters will be sold. “The posters are going to be gorgeous. We have commissioned him to do this for us for five years,” Merryman said. But the Dogwood Trails Arts & Music Festival isn’t the only thing going on in Palestine during the first weekend of the Dogwood Trails Celebration. Other activities include the Dogwood Jamboree (the Branson-style music show), which is celebrating its 15th anniversary, as well as the Boston Porter Memorial Rodeo, Boston Buckaroo Kids Rodeo, rides aboard the Texas State Railroad and more. “The Boston Porter Kids Rodeo will be cute – events like stick horse racing, goat dressing, mutton busting – watching all of those kids will be hilarious,” Merryman said. Those who are interested in visiting Palestine’s Davey Dogwood Park, should look for the Fairy Gardens spread throughout the park on the first weekend. In fact, it’s not uncommon for tour buses to make special trips during the three-weekend Dogwood Trails Celebration. “We have groups – even car clubs — that book their rides at the most beautiful times. They want scenic routes, they want East Texas hills, the green and the blooms. Plus, they have things to do when they get here,” Merryman said. The fun doesn’t stop once the first weekend of the Dogwood Trails Celebration is over. The second weekend of the Dogwood Trails Celebration includes the three-day Old Time Dulcimer & Music Festival, which will be held March 28-30 at the historic Museum for East Texas Culture in Palestine. The festival includes workshops, nightly concerts and jam sessions. Participants travel from several states to participate in this annual event due to the experience of the workshop presenters, who also hail from around the country. The workshops and jam sessions are open to musicians of all levels and even those wanting to learn. Sounds of dulcimers, fiddles, violins, autosharps, guitars, bass, banjos and mandolins fill the air throughout the museum during the three days. For more information on this event, visit oldtimepalestine.com. Other events taking place on the second weekend include a Gospel Jazz Music Festival, the musical “Gilligan’s Island” at the historic Texas Theatre, a Farm & Flower Market and more. On the third weekend, events include a paddling clinic on Upper Lake in Palestine, a 5K walk/run, the continuation of performances of “Gilligan’s Island” at the Texas Theatre, a Picnic in the Park event at Davey Dogwood Park, etc. All three weekends are chock-full of events such as the downtown Dogwood Trails Arts & Music Festival, train rides aboard the Texas State Railroad and the Old Time Dulcimer & Music Festival. Families can also enjoy attractions such as going on a stained glass tour of historic churches or taking a step back in time on an architecture tour of the Redlands Hotel in downtown Palestine. For those who would like to spend time outdoors, they can walk through the picturesque Davey Dogwood Park full of dogwood trees, trails and creeks.